• Cosmological Evidence – Our universe had a beginning. Our universe appears to be fine-tuned for human life. • Biological Evidence – Life in our universe emerged from non-life. Biological organisms appear to be designed. • Mental Evidence – Nonmaterial consciousness emerged from unconscious matter. As humans, we are “free agents” in our otherwise cause and effect universe. Freedom to make personal decisions. • Moral Evidence – Transcendent, objective moral truths exist in our universe. Evil and injustice continue to persist, in spite of our best efforts. These features of the universe can be attributed either to something inside the natural realm or to something outside the natural realm. Jim says his investigation of God’s existence is very similar to a death investigation. In both cases, several evidences in the “room” require explanation. For example, in a homicide case the evidence inside the room (fingerprints belonging to someone other than the victim) gives good reason to believe there is someone to look for ‘outside the room.’ In a similar way, Jim says we can examine the evidence inside the natural, physical realm of the universe to determine if there is someone we need to look for outside the natural, physical realm. The existence of evil and injustice does not contradict the nature of a Divine Creator. Jim shares a case from his investigative experience about an eight year old girl named Jackie who was killed on Christmas day. He says the gruesome details of the girl’s death was just a constant reminder that evil and injustice does exist in our universe. “While the existence of evil might at first appear to be a strong evidence against the existence of an all-powerful, all loving Divine Creator, it may actually be the best possible evidence for the existence of such a being,” shares Jim. In some homicide cases, Jim has seen how a family member’s belief in a Divine Creator actually deepen as they’ve navigated life after the tragedy. The “cop stories” Jim shares in his book can be disturbing. “As a homicide detective casework is graphic and challenging,” shares Jim. He has altered his true life experiences by changing identities and exchanging details from one case to another in order to protect detectives, suspects, and victims from further exposure. Jim was a committed atheist during most of his early years in law enforcement. “I rejected supernaturalism thoroughly, denying both the existence of a supernatural God and the possibility of the miraculous. I truly believed everything I observed in the universe could be explained and attributed to natural, physical causes and processes,” shares Jim. At the age of thirty five Jim was introduced to the New Testament. He became interested in God’s existence only after investing the gospels as eyewitness accounts. He said, “The New Testament accounts passed the same four part test I apply to all my witnesses, yet I still rejected them on the basis of their miraculous stories.” He then began to question if he was wrong in his anti-supernatural presuppositions. If a supernatural being did exist, the miracles in the Gospels would be possible and maybe even reasonable. The case for God’s existence was an integral part of the case for the reliability of the Gospels. After becoming a Christian in 1996, Jim continued to take an evidential approach to truth as he examined the Christian worldview. After his conversion, Jim joined the staff at Saddleback Church, founded by Rick Warren, where he served as a Children's Minister for several years, while continuing to serve as a cold case detective, then planted a church in 2006. 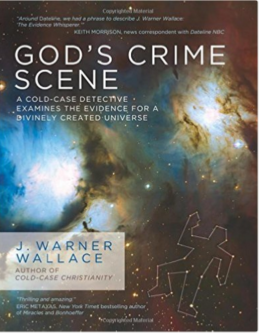 Along the way, he created and built the Cold-Case Christianity website, blog and podcast as a place to post and talk about what he discovered related to the evidence supporting Christianity. 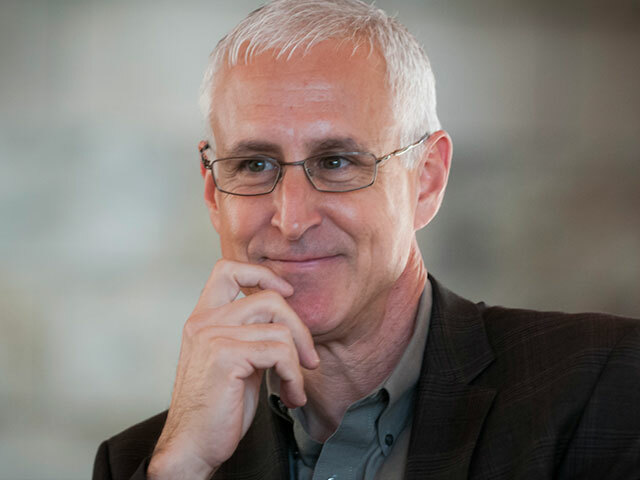 Jim has appeared on television and radio, explaining the role that evidence plays in the Christian definition of “faith” and defending the historicity of Jesus, the reliability of the Bible and the truth of the Christian worldview. He also speaks at churches, retreats and camps as he seeks to help people become confident Christian case makers. Jim has a cameo role in the film “God’s Not Dead 2”, playing himself testifying in a court scene. COSMIC CRIME SCENE Detectives investigate causes. Who caused this murder? There are four ways to die, and only one of them requires an intruder. Suicides, accidental, and natural deaths can occur without any evidence from outside the room.